T & T Tinting Specialists Inc.
***Authorized Dealer of Vista Window Film*** Hawaii's largest and most respected window tinting company since 1982. Hawaii's #1 Glass Tinting Company & one of Pacific Business News "Fastest 50" for three years in a row and included in the Hawaii Business Magazine's "Best Places to Work in Hawaii" for five years in a row. We are incredibly proud to be Hawaii's #1 Glass Tinting company and we strive to improve our services and products every single day. We have an incredible and experienced staff with years of experience providing the highest quality service. Locally-owned glass shop serving the entire island of Oahu with aloha. 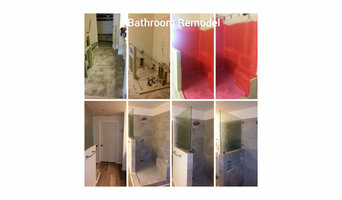 Custom showers, mirrors, windows, doors, tabletops and more. 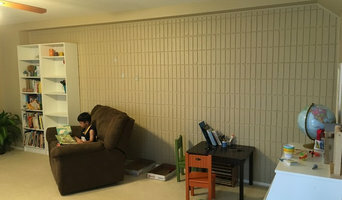 Please call us at 808-234-4260 for a free estimate. My cornerstone is providing quality and upscale services at an affordable rate that works with your budget. Unlike some guys that are driven by profit, I am driven by my love of my work. I'm constantly looking for better ways to help you and make your life better. But above all my goal is to leave an indelible mark here in Oahu and my only way is through customer satisfaction. Xtreme Handyman Services is a locally owned and operated company. We specialize in kitchen and bathroom remodeling. We value honesty and integrity in all aspects of our business, and offer a variety of services that are customizable to each individual project. We pride ourselves on the quality of our work, as well as our commitment to outstanding results. We look forward to building lasting relationships with our clients, and guarantee your satisfaction! Providing all types of repairs to home or office, pricing based on level of complexity and effort. EcoShade is Hawaii's #1 patio and parking structure roofing company. We specialize in three different roofing options; Solid Roofs, Louvered Roofs and Solar Roofs. The leading Glass Company who perfected custom Showers, Mirrors, Windows, Railings and Storefronts. Located on the Big Island of Hawaii in Kailua – Kona. 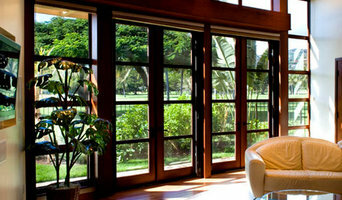 Kona Glass offers award-winning glaziers focused on a wide range of services throughout the Big Island of Hawaii. Contact us today to learn how our 15 years of experience can best serve you. We provide pool, spa and waterfall construction. Koi ponds and equipment installation. Pool, Spa and pond maintenance. 15 years of experience. 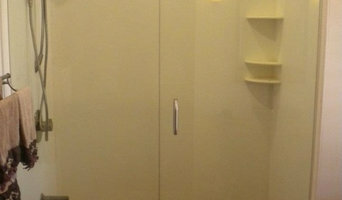 Handiman services with custom designed and built cabinets, bookshelves, beds, and many more items. Are you looking for a reliable, honest and experienced handyman? If the answer is yes then you should call Ace Paint and Home Repair. I am a full service handyman business and have over 25 years of handyman experience here in Hawaii. I specialize in all home repair and home renovations including all your indoor and outdoor painting needs, landscaping, any surface level electrical repair including refrigerator repair. In addition I am available to help you move with any of your moving needs. 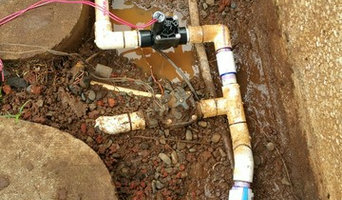 I am also a 24 hour on call plumber that can fix all your plumbing needs no matter what time of day or night it may be. I am able to help you in any drywall work, mold or asbestic problems you may have and am able to seal most lead paint issues. I pride myself on being honest, reliable and always on time. I do not charge up front and only ask for half the payment when I am halfway done with the work. If I can't fix your issue I will not charge you. I always provide free estimates and I work Island wide. As they juggle your demands and the work of home builders, the Hawaii, HI building project manager often benefits from a construction industry background. This may also assist you when you need to hire additional contractors. Look in the Professionals section of our website under Hawaii, HI specialty contractors, then select the nearest metro area for a contractor. You can also look through Hawaii photos of completed projects to see how a contractor might approach design challenges.